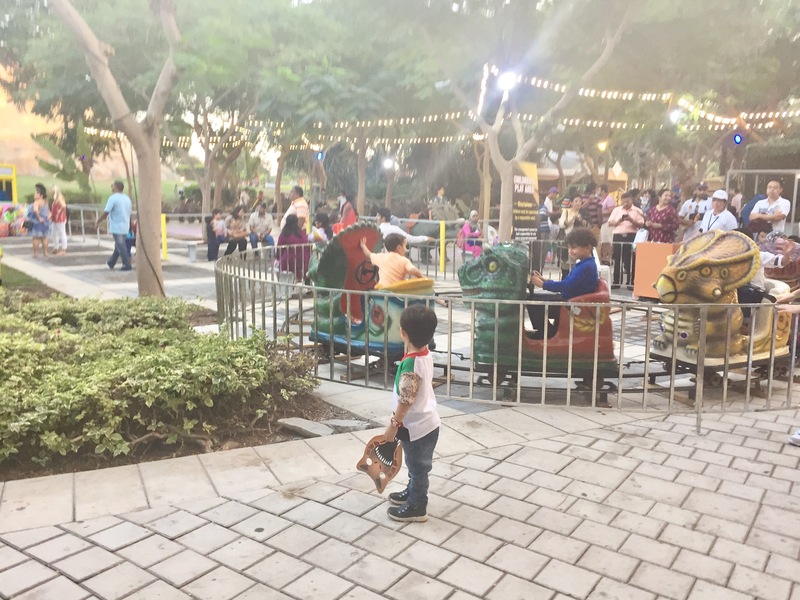 To celebrate this year’s UAE National Day, we decided to head to Dubai Garden Glow for the first time ever, the leisure park that is open during the winter months for the second year running. 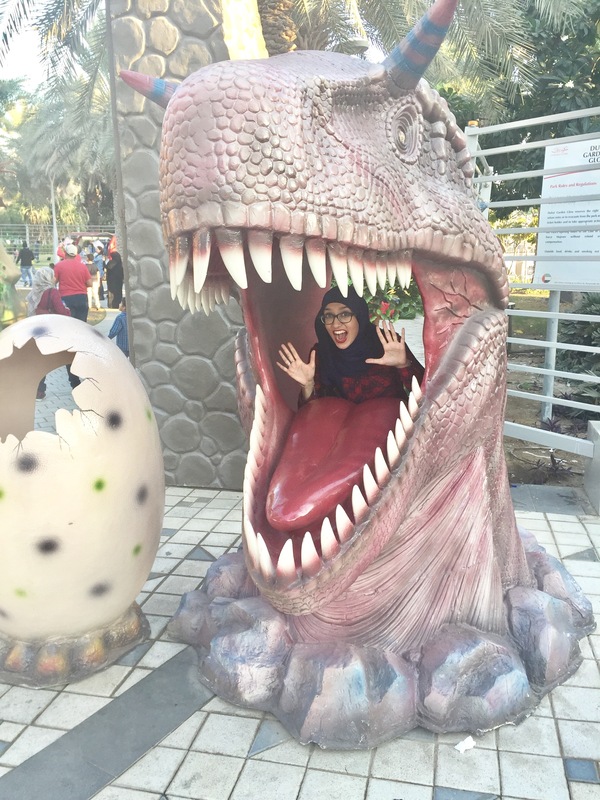 Located in Zabeel Park, this year many more attractions have been added including a ginormous Dinosaur Park with over 30 different dinosaur species, including the famous and my personal favourite, The T-Rex! The park is open between November to April, but is much better to visit when it is cooler, as the entire park is outdoors. 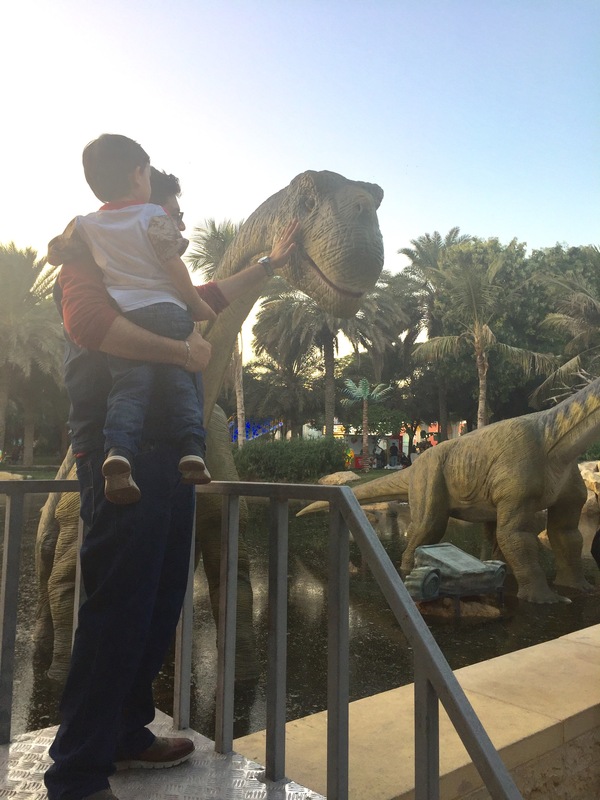 With tickets only costing AED 60 per person (Free entry for children aged below 3 years old! 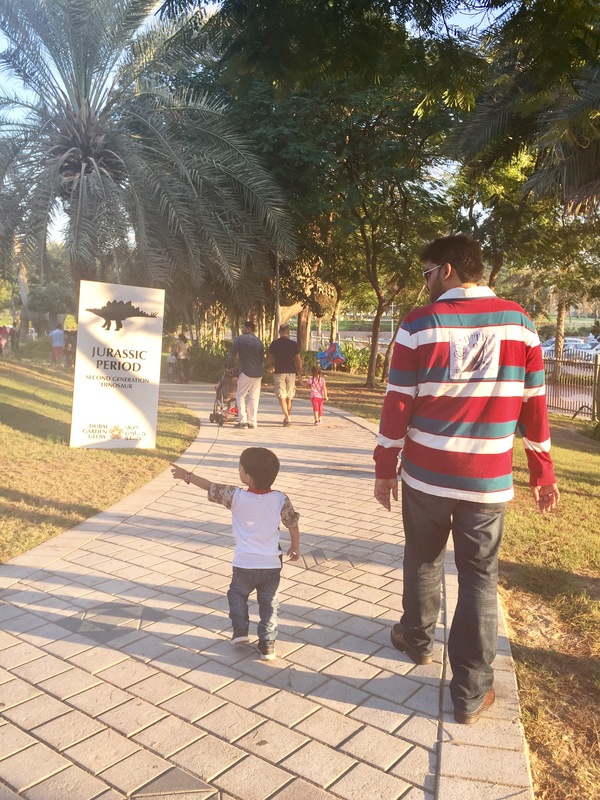 ), it makes for a great family day out, with attractions and photo opportunities galore, not forgetting plenty of snack stalls and kids activity areas. Oh and clean toilets too, which are absolutely essential! The park is open from 4 pm till late, and I suggest you get there as early as possible. This way you can experience the park in day light too, making sure to take great photos, and avoid the manic hunt for a good parking spot. We started with the Dinosaur Park and since we arrived around 4:30 pm, we were able to to see all the Dinosaurs in great light, which also meant they seemed less scary to the toddler! I had been getting Baby Z hyped up about seeing the dinosaurs the day before, and it was safe to say I was pretty excited too (judging by the photo above anyway!). I did wonder if Baby Z might get spooked out, but the boy was in his element as soon as he saw them! Though he did flinch a little when the dinosaurs roared, he quickly put on his Dr Alan Grant (of Jurassic World) persona and roared back! 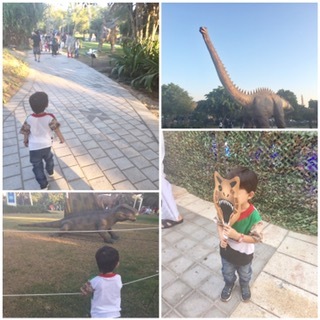 Baby Z was leading the way, pointing to all the different dinosaurs and running off to see the next one. I was amazed to see the scale and detail of the dinos, the efforts are truly commendable and roars very much realistic! I also love the fact that they move, adding another layer of reality. It is also rather educational as the dinosaur timeline is labelled with the names of the different periods, and there is even a volcano right at the end to symbolise their extinction. After this, there are Dino Labs as well as a Dino Museum where children can “excavate” the dinosaur bones. Admiring Dinosaurs is thirsty work, and thankfully there are plenty of snack stalls in the park for refreshments, as well as play areas for children and rides to keep them entertained whilst you down your coffee. There is also a great Dino Petting area where you can get up close and personal with the dinosaurs. Baby Z wasn’t too keen on stroking them though, so I guess the Alan Grant bravado went out of the window then. Almost as if right on cue, the lights in the park lit up as the sun began to set, and that’s when we began admiring the spectacular light sculptures that surrounded us. 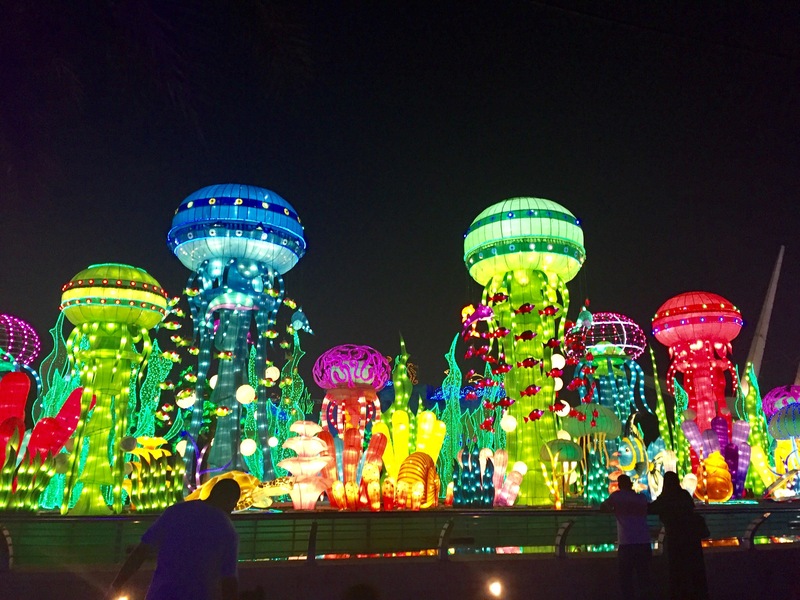 The photographs don’t do the park justice, and I am in no way sponsored by Garden Glow when I tell you that it was truly beautiful to walk through the lit up gardens. Again, some sculptures were moving which added to the magic. The creativity of the sculptures are boundless and I especially loved the magic of the falling lights from the trees in one particular section, reminding me of Avatar’s “Tree of Souls”. There is of course a lit up Burj Khalifa sculpture in the midst of the “Symphony of Light” section amongst many other light tunnels and even Cinderella’s carriage. 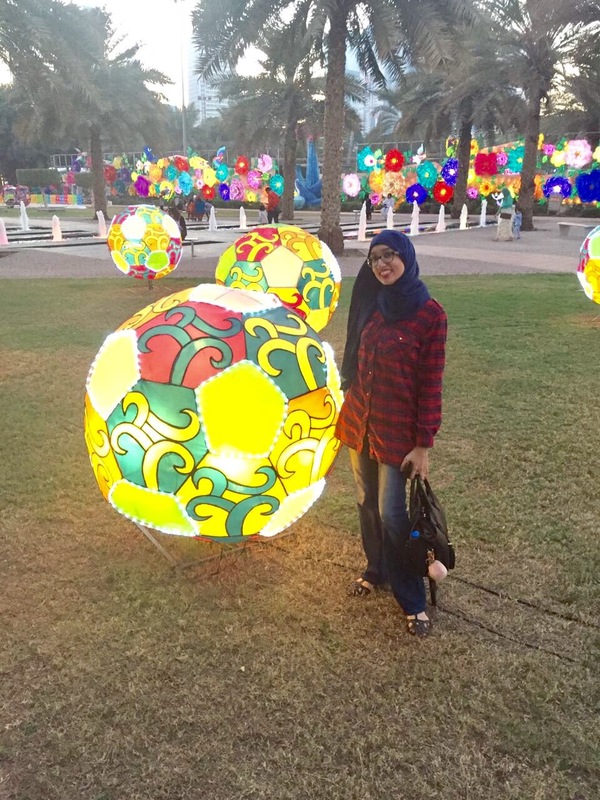 I don’t want to spoil it by giving away too much and sharing more photos, but I can assure you that the Dubai Garden Glow makes for a great family day out. 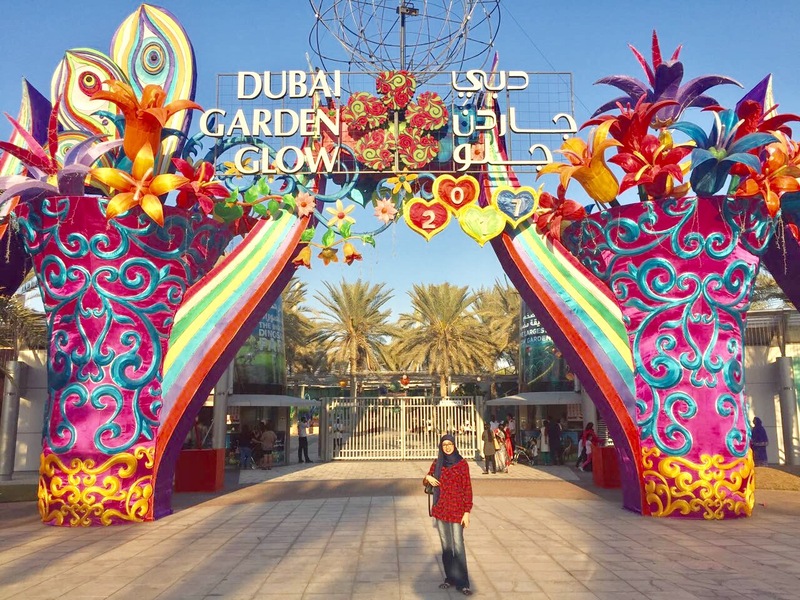 It did take us roughly two hours to walk through the entire thing, and even then I think we missed out on one or two sections, but over all it’s perfect for a Dubai winter’s day, and would be a great idea to take family and friends visiting from abroad too. Baby Z had such a fun day, and he was still roaring away in the car on the way home. For more information or to buy your tickets online, head to their website here. 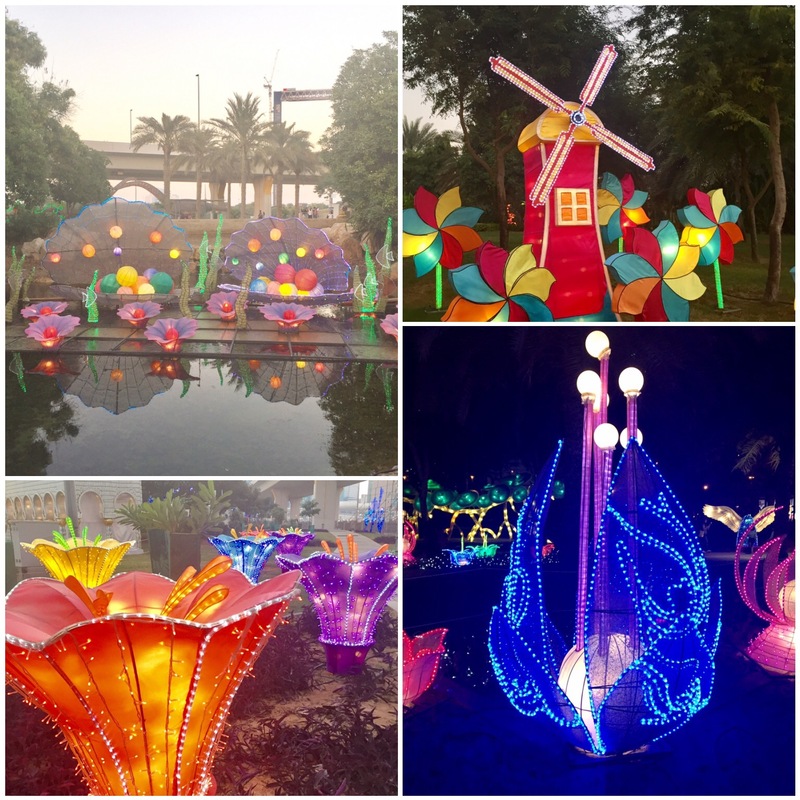 Have you been to Dubai Garden Glow yet? What are your thoughts on this attraction park? Feel free to let me know in the comments section below! Oh yes, it is such a great place for kids. Highly recommended! We had been there last winters. Good tip about reaching before it gets dark, that way one gets to enjoy the best of both worlds! Yes, I am so glad we did so we could get some great shots too! We really look forward to bringing out our Globetrotters. Recommended by so many people!!! Absolutely, it is a must visit Dubai destination for sure! Ooh, such a lovely place! I really want to go here. It is so much fun, both for kids and adults!